Experience a taste of one of the English language’s foremost writers of the 20th century. 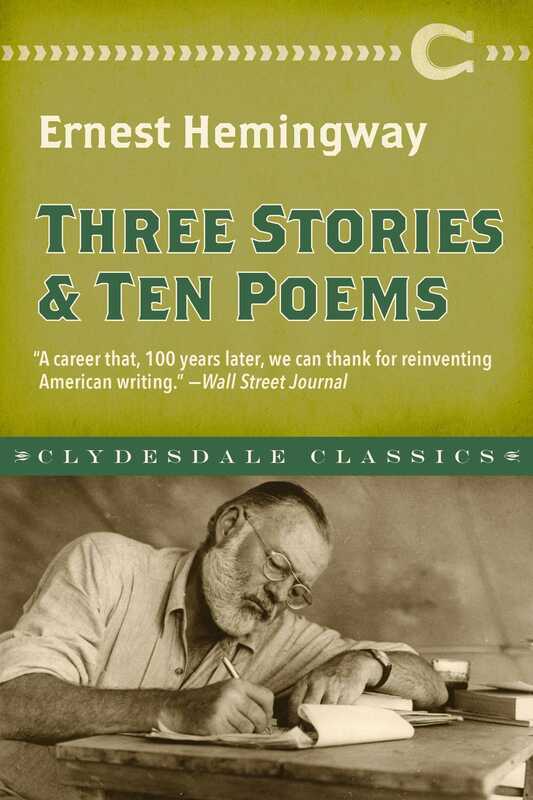 Originally published in 1923, Ernest Hemingway’s Three Stories and Ten Poems feature some of the expatriate’s lesser known, but still wonderful, works. Originally privately published in Paris, Three Stories and Ten Poems holds an interesting history. The three stories “Up in Michigan,” “Out of Season,” and “My Old Man” were first seen in this collection, but “Up in Michigan” was banned and not considered publishable in America until 1938 because of its blatant sexuality. In addition, this original publication of the three stories is all that remains of Hemingway’s early works after his suitcase containing the originals was stolen.